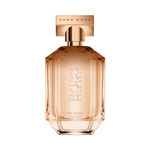 BOSS Parfums is expertly crafted to reflect the powerful personality of the BOSS Man and Woman. The portfolio features a range of refined and contemporary fragrances tailored to enhance the look of the wearer and complement their modern lifestyle. 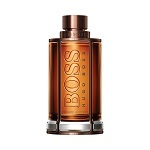 BOSS THE SCENT INTENSE For Him is the new seductive Eau de Parfum for Men. Masculine, powerful and memorable, the new intensified fragrance BOSS THE SCENT For Him features a higher oil concentration and amplified aphrodisiac ingredients to enhance the power of his seduction journey. BOSS THE SCENT INTENSE For Him is built around the rousing Maninka fruit and set on a virile Leather base combined with Vanilla. The effect is crafted to provoke the senses with an air of depth and enigma, its notes unfolding over time to reveal its incredible potency the closer you get. It opens on a fresh and spicy top note of Ginger, intensified by green Cardamom which gives the perfume a stimulating energy. At the heart, the aphrodisiac Maninka fruit, an exclusive ingredient from South Africa, has been intensified to shape an even more powerful and memorable impression with its rich and complex facets that envelop the skin in sensuality. The addition of Vanilla at the base, combined with the richness of burnished Leather, increases the scent’s magnetic strength, which lingers like an unforgettable memory. The flacon presents an evocative and darker amber juice, set in a metallic cage, as if capturing the spirit of seduction before it unleashes its dynamic power.